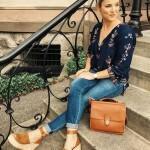 Best Choker Necklace 2019 That You Can Wear | KSISTYLE! 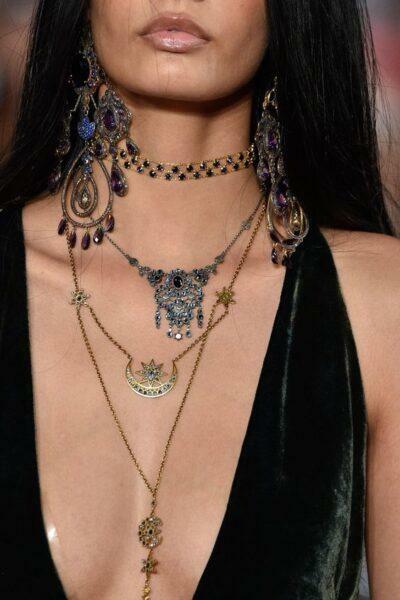 How many chokers are in your jewelry collection? Maybe you learned about this charming jewerly just today? 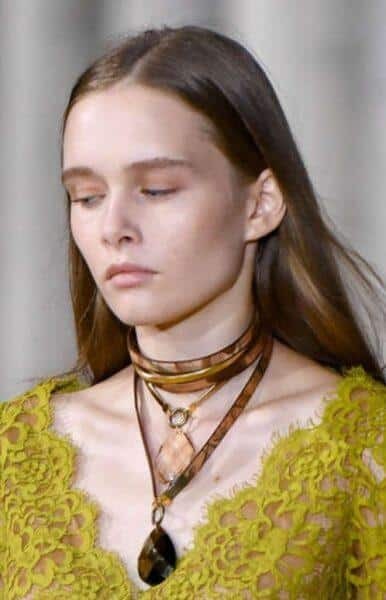 Are chokers in style 2019? 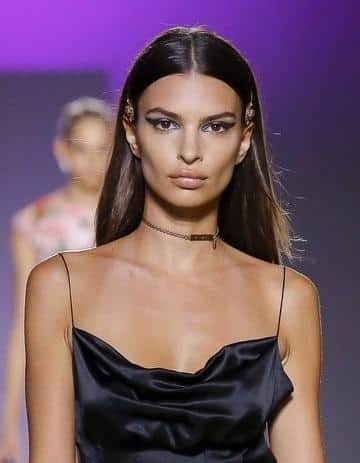 In any case, you need to explore fashionable chokers 2019 and wear on your neck the most popular ones! In one of the women’s magazines, we read the recommendation to throw the necklace, because it is included in the list of anti-trends. The authors had in mind a choker tattoo from the 90s, which is not popular today. 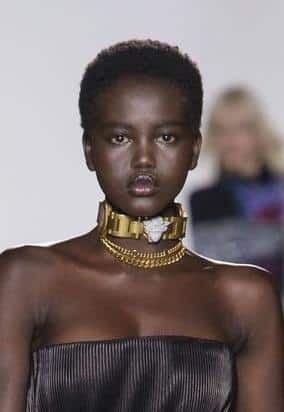 What chokers are fashionable in 2019? Are you interested in this topic? Then read on! 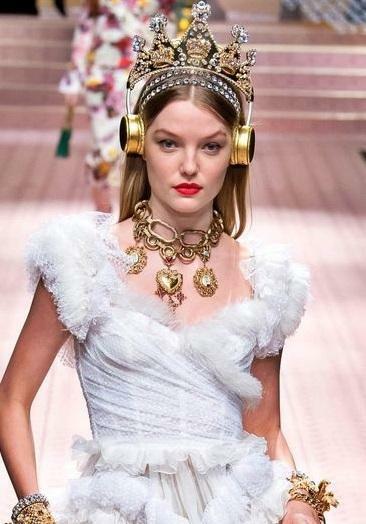 Want to know which chokers are in fashion 2019? Then first of all pay attention to the general characteristics of these decorations. 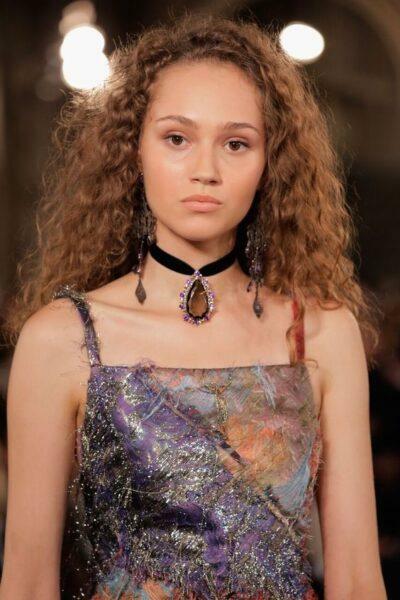 - Chokers are placed above the collarbone, on the neck. 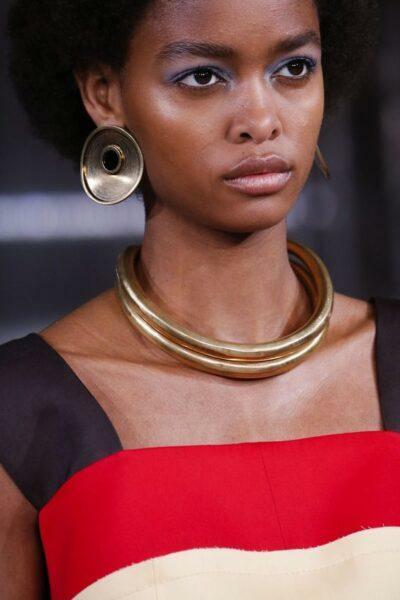 They have different thicknesses: from thin threads and chains to large, complex choker necklaces. Beautiful necklaces were in trend already last year. Our authors made a detailed review of the chokers of last year. 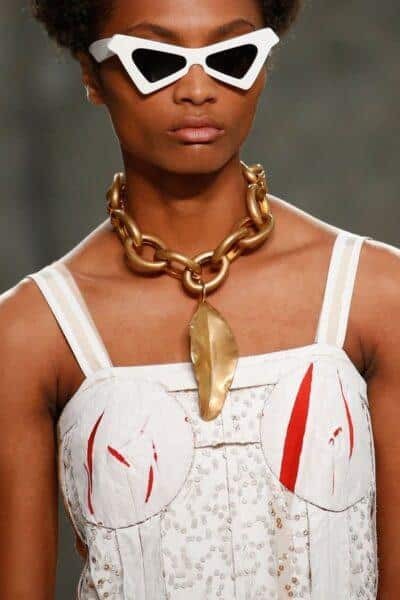 A choker necklace is the most fashionable in 2019. Choker necklace is a tight fitted choker. What chokers necklace are most popular? Choose a modest or massive decoration? 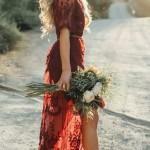 It completely depends on the situation and the place of its application, also on the tastes and character of the woman. 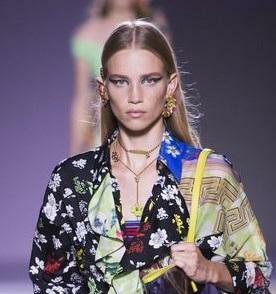 - Designers offer to wear multi-level jewelry of different lengths. 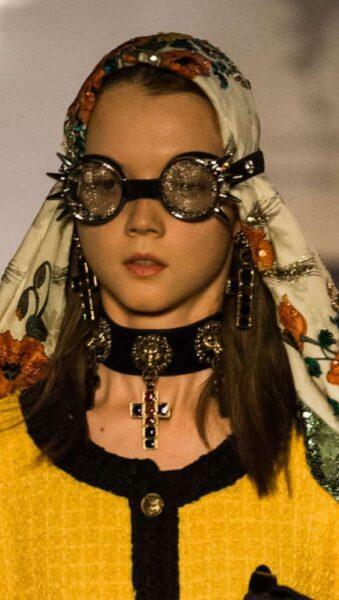 The choker is located directly on the neck, and below fall two or three (or more) of diverse jewelry, covering the entire neckline, and sometimes dropping almost to the waist. — Most of the chokers attract people with their brilliance, the color of precious gold and silver. Color or black elements are also added. 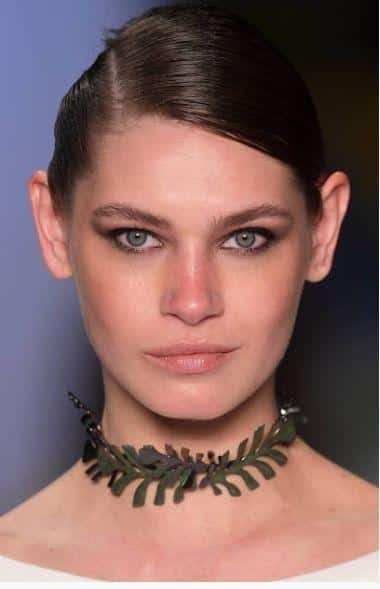 — Volumetric chokers are sometimes used together with the same noticeable earrings, made in the same technique. The principle of moderation, as we see, is ignored. Such kits are appropriate for holiday occasions. 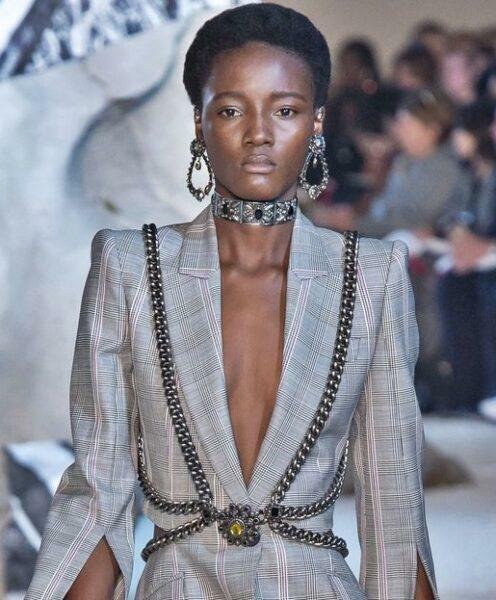 — Chains are the most common choker motifs in 2019. They have various sizes and non-standard configuration. In the second part of the review we will describe them in more detail. 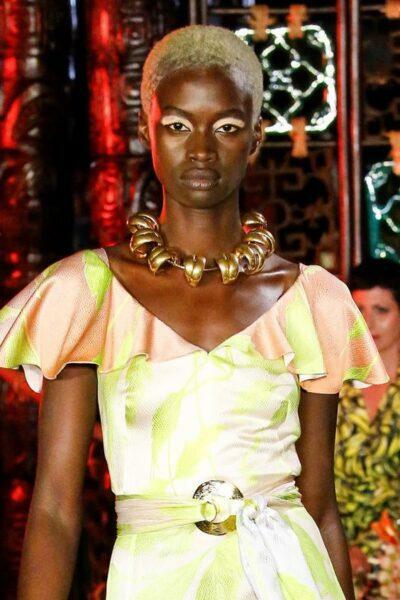 Consider the modest interpretation of jewelry, which we were able to see at fashion shows. 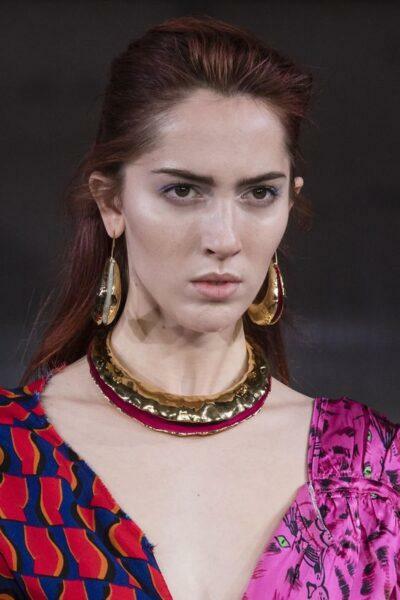 A thin gold choker from the Versace design house will be a worthy addition for ladies, who are used to being always on top. The ingenious simplicity of the choker will allow to wear it in everyday life, and not only with festive dresses. 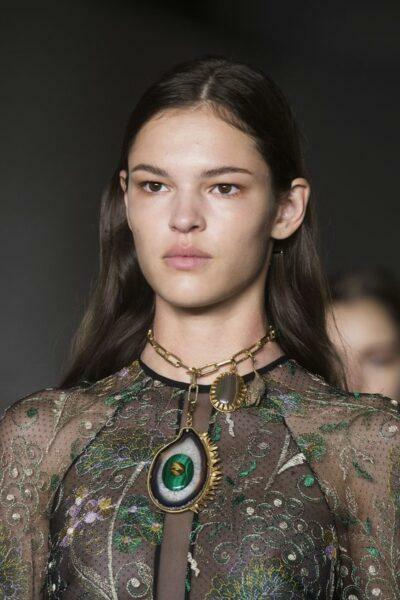 We have already mentioned the trend of combining several layers of jewelry. 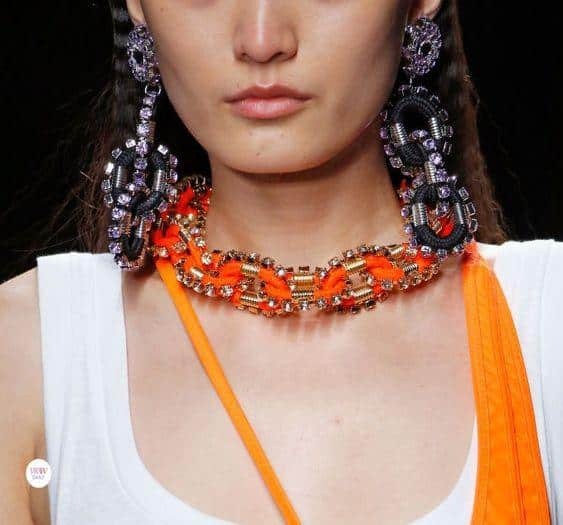 We only add that it can be not only chains and necklaces, but also delicate threads of beads, possibly with pendants that are perfect for jackets and light sundresses and blouses, especially in spring and summer. A few years ago, lace chokers from tight openwork were in fashion. Now they are replaced by metallic laces. The jewelry is made of a rather dense material. They have not smooth, but a relief structure. 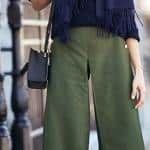 How comfortable are they to wear? Only those who have tried them for themselves can answer. But they look original and unusual. 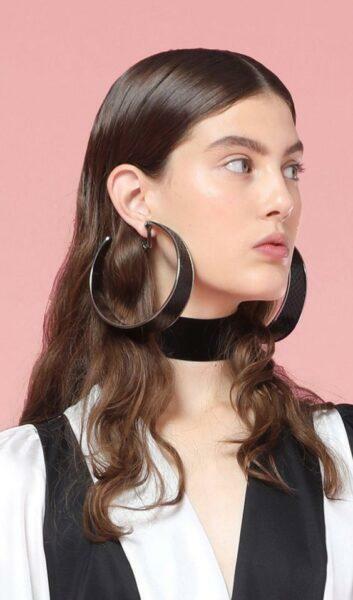 Another novelty of the season is a choker-ring around the neck. Jewelry also has many variations, different thickness. Rings on the neck has decorative elements, which makes the design much more interesting. 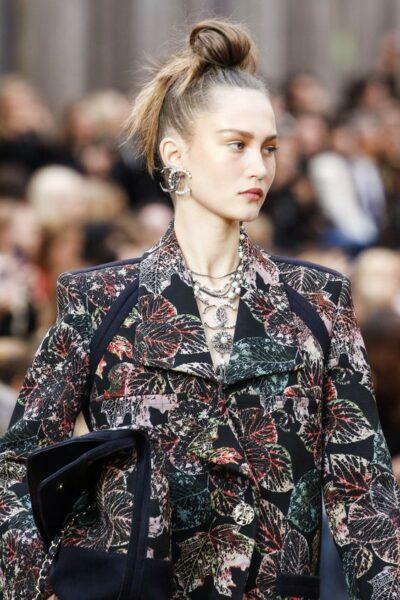 The creations of Christian Dior and Marni with golden curls or leaves cannot be called flashy, but you cannot call them modest. This is probably called the «golden mean». 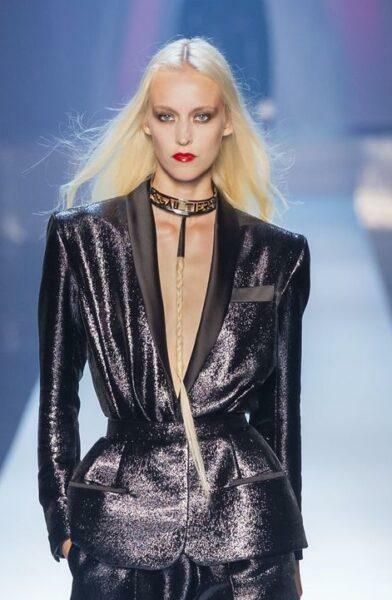 Ribbon chokers still appear on the runways. 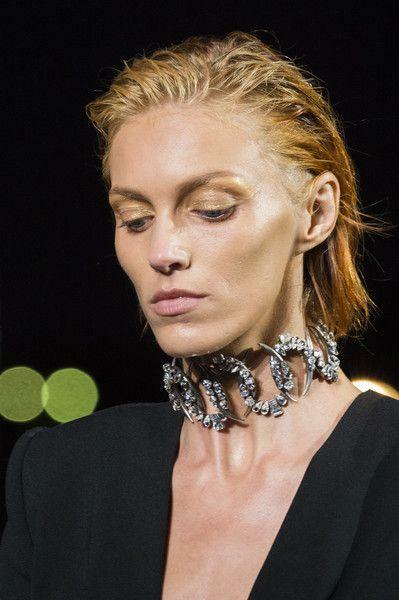 So the era of black chokers around the neck has not passed. 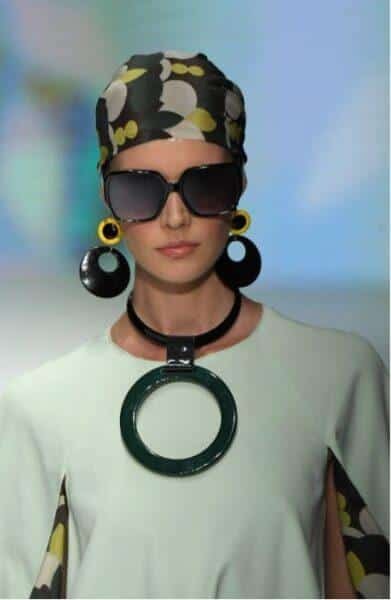 Andrew Gn made the black strip a little wider, and also added an image with large-sized earrings in the same color and similar style. 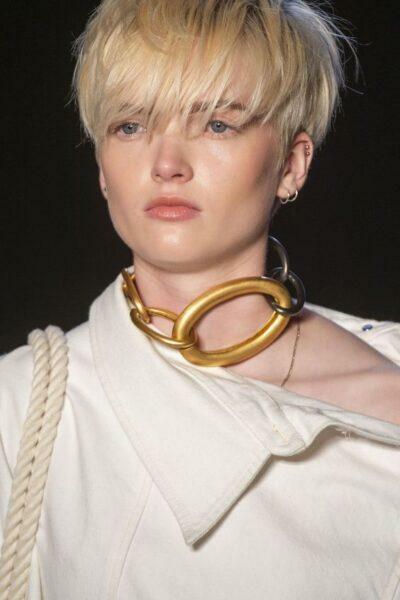 Models wear metal hoops around the neck. The girls say that these chokers are comfortable in everyday life, but they look a bit heavy. 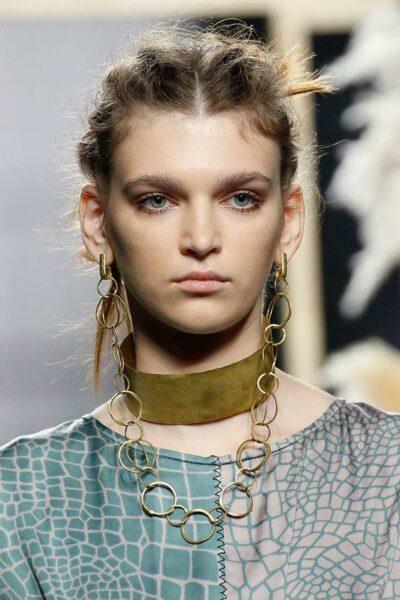 Designers presented smooth and embossed hoops in metallic shades. 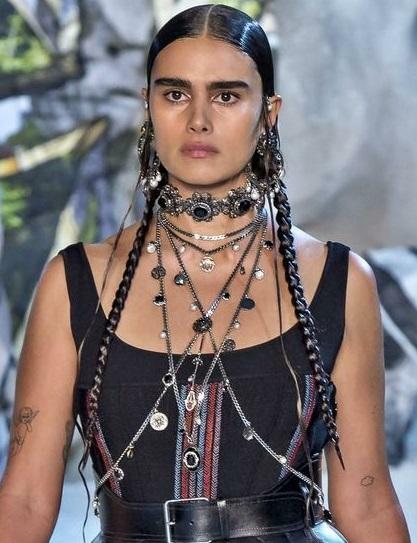 As you can see, the choker is combined with several jewelry of different lengths, and long and embossed earrings are added. Exquisite weaving choker has a completely different style — delicate and feminine. 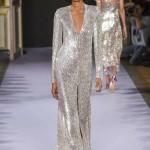 Of course, this is more suitable for evening dresses with a deep neckline. 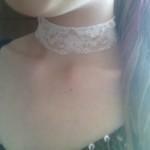 Choker expands the age and style limits, it has ceased to be an adornment of adolescent girls only. Grown-up serious ladies don’t mind trying on such a charming jewel. Stylists made the pendants large. 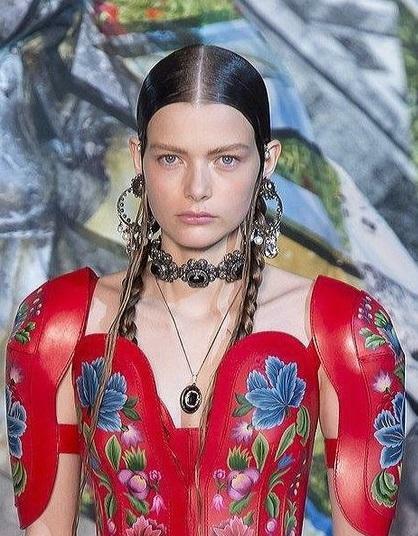 Chokers 2019 in the photo are examples of radically different decorations made in different styles. Large pendants perfectly complement the image ideas. How do you like the plumage of the girl «peacock» in the first photo? 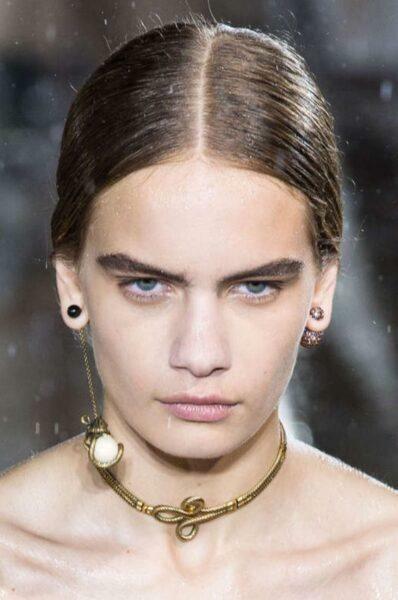 Figured metal chokers necklaces have a self-sufficient design. They can be used not only as a separate decoration, but also complete with thin chains of different lengths. 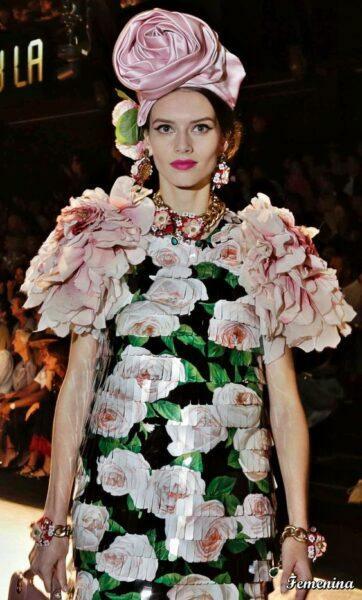 The talented Alexander McQueen showed us an example of such a complex ensemble. 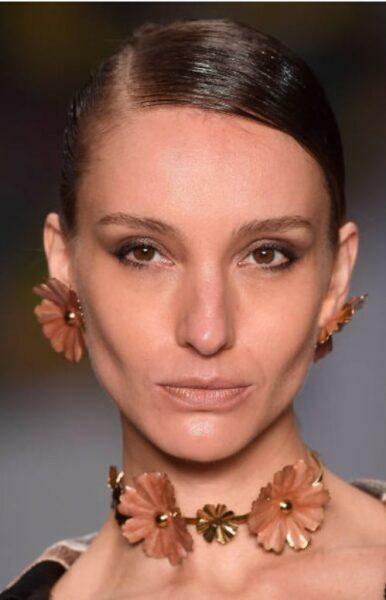 The choker on the photo is made of metal and stones, and this abundance is complemented by large earrings. Chains of «immodest» sizes have links of different sizes sometimes. 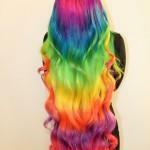 They can be of different thickness, color and even shape. Look at the choker chains in the photo. None of the designers adhered to the boring standard approach. The chains are not at all alike. 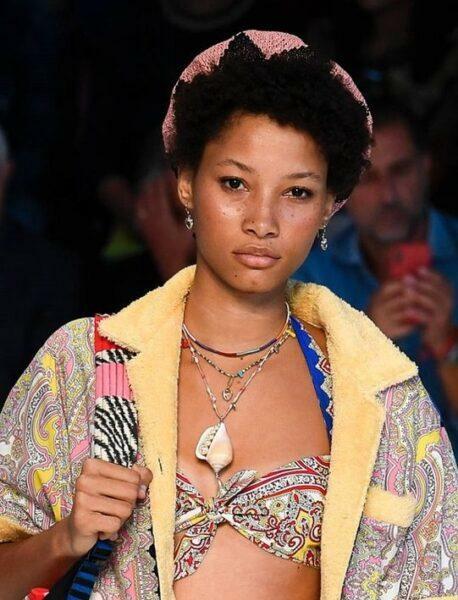 Some of them have overall pendants, and Dolce & Gabbana decided to put their initials on the checker so that everyone would immediately recognize the genius of the creator. 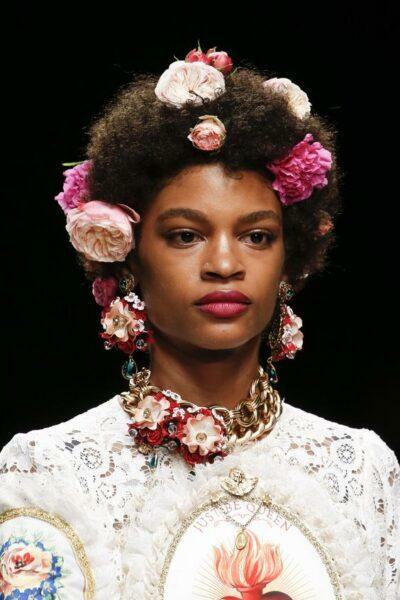 Romantic dense necklaces with flowers and petals exist in parallel with the strict forms. Natural plant forms are located on a thin metal ring or chain links. 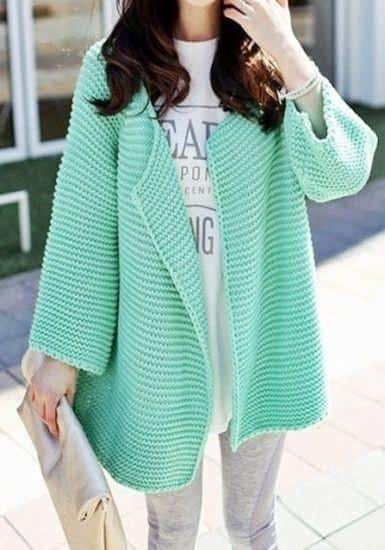 They create a festive and romantic atmosphere and are suitable primarily for feminine dresses and elegant blouses. 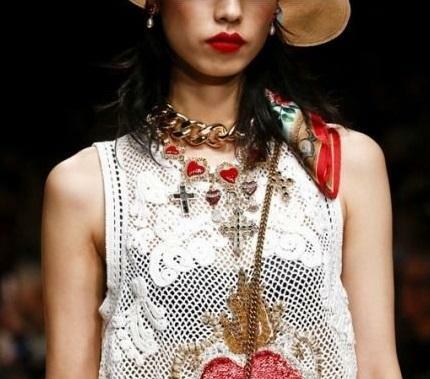 Last year, and even a little earlier, a choker with hanging details is appeared. A complex structure can consist of small or large elements. 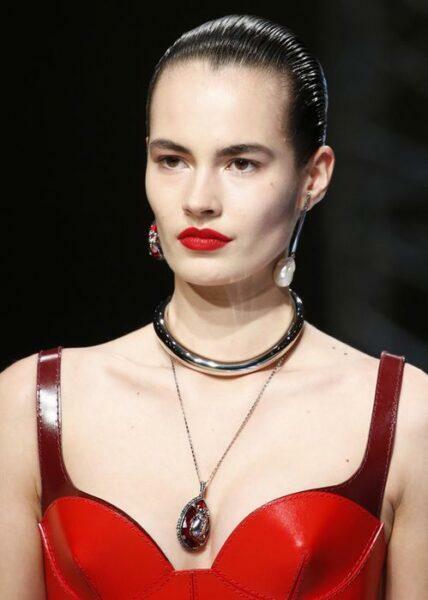 For example, a wonderful choker necklace, the photo of which you see below is the creation of Dolce & Gabbana. It is made from three levels of hanging parts. 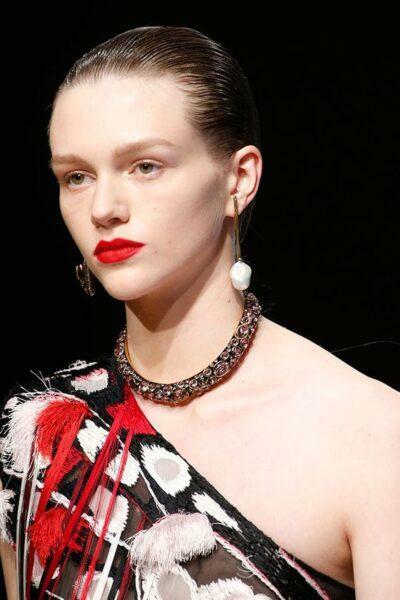 We managed to find at fashion shows chokers made from small beads, pearls. They may have a simple or complex construction, and give alongside a specific national style. We hope you enjoy our detailed review of fashion chokers necklace, you are inspired by the fresh creations of designers. We would be grateful if you share this information on social networks.